Being a student who was always interested in entrepreneurship and business management, I proudly support and am part of the Center for Advanced Research and Technology. 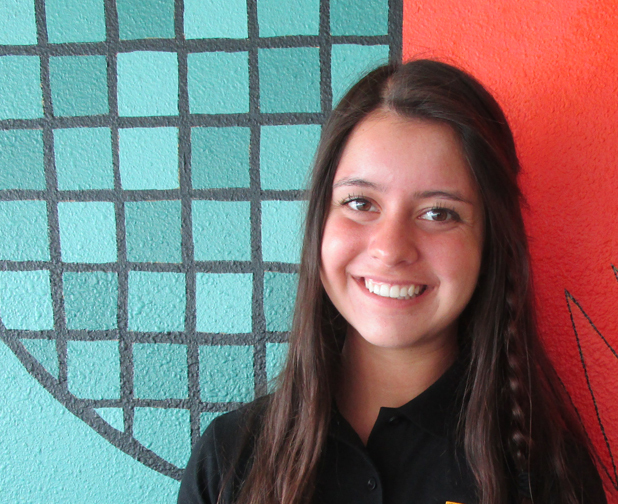 My name is Vivian Castillo, and I am part of the Digital Marketing and Advertising Lab. CART allows me to study materials that I would normally not get in a normal school setting, and allows me to work in groups with other students from different schools. At CART I am treated in an adult-like manner, and I have been allowed to research and gain knowledge at a deeper level in my field of interest. CART is allowing me to follow my passion and interest in business and entrepreneurship. Last year, I was able to take the Business and Finance lab where I learned about personal finances, taxes, and how to correctly manage your money wisely throughout your lifetime. The Digital Marketing and Advertising lab is significant for me because it adds onto what I learned last year, now focusing on the marketing, advertising and branding component in business. This week in the lab we have been assigned a project dealing with different social situations in the world; the social cause that my group was assigned is eating disorders/body image. We will create a campaign that focuses on this topic and study how to correctly market and advertise to best impact others to make a change. Students will also make a video that deals with their topic in hopes of strengthening the impact of the campaign. In our English class we were told to write an essay that dealt with our social campaign. This week was an exciting week at the Center for Advanced Research and Technology, and I am looking forward to next week so I am able to learn more about business through my amazing teachers.